Simone Signoret, Yves Montand, Mylène Demongeot et al. In Puritan Salem, Mass., upstanding farmer John Proctor is tempted by beautiful teenage boarder Abigail Williams, because his chilly wife, Elisabeth, has begun to spurn his amorous attentions. 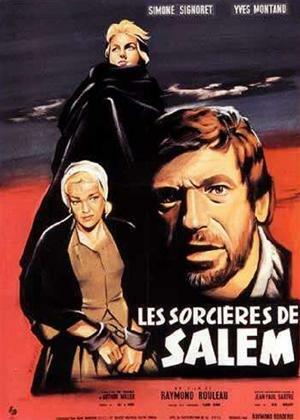 When Elisabeth catches the lovers together and demands that Abigail leave their home, the tempestuous young girl exacts her revenge by accusing the woman of witchcraft. The village elders are only too ready to believe the girl's fanciful claims.